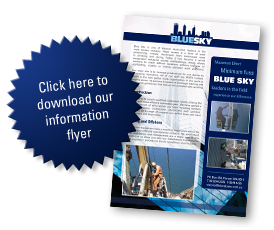 Blue Sky Rope Access is one of Western Australia’s leaders in the rope access and high maintenance industry. 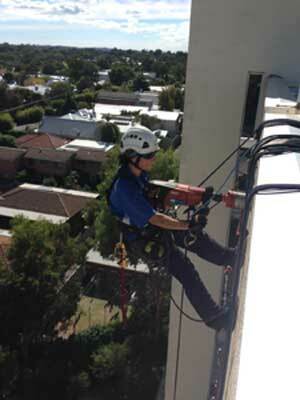 Rope access is a form of work positioning, initially developed from techniques used in climbing and caving. Today it has become a world recognised industrial access methodology, which allows workers to reach difficult locations without the use of scaffolding, cradles or mobile elevated work platforms. Our main aim is to increase productivity for our clients by decreasing downtime. All of our staff are IRATA trained. IRATA is the sole global trade organisation in the work at heights sector. Its success is based on thorough training and strict work guidelines that deliver an unrivaled safe working record.